BHPA registered school exclusively for hang gliding. One Day Fun sessions through to Full training courses (UK BHPA license). Hang Glider maintenance and repair service. Our instructors are all active hang glider pilots with advanced pilot ratings and full BHPA instructor licences. With over 25 years of continuous teaching of the sport, both here and abroad, we have a wealth of experience to share with new pilots. We are the most successful hang gliding school in the UK qualifying more pilots than any other school! 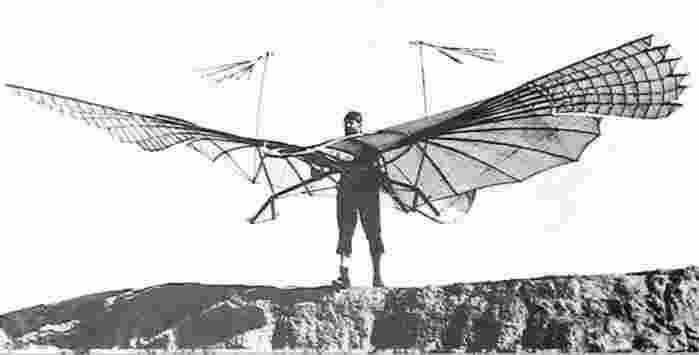 Make sucessive flights on Hang Gliders guided by tethers. All solo flights, for the first two days, are made with assistance from ground tethers or sliding zip-line tethers in lighter winds. These days are equivalent to the first day, or first two days, of the BHPA elementary course. Have a go and enjoy a great fun activity day out! Come for further days to complete the full EP course. You can top-up to the full EP course price at no extra charge. Our courses are no longer for sale as prepaid Gift Vouchers. 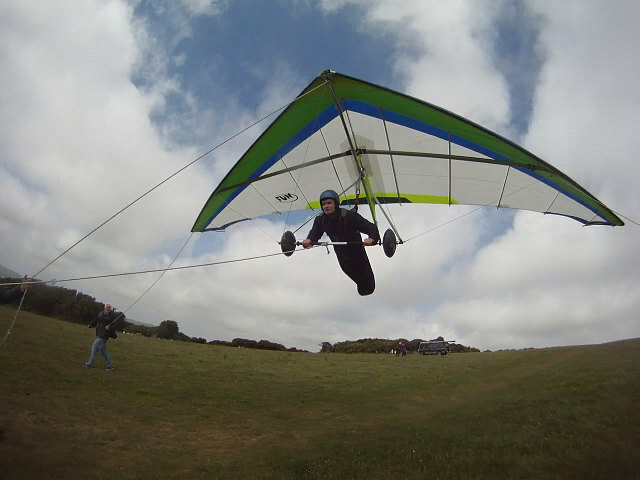 If you want to buy a Hang Gliding course as a gift we recommend Airsports Sussex. 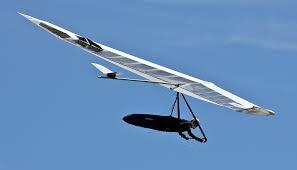 Airsports Sussex Buy a Hang Gliding Gift Voucher. Our unique tether methods ensure a safe progression through to your first free flights. The final two EP days involve higher flights with turns. Over 50 flights are made during the EP where take-offs, landings and in-flight control are perfected. A theory test completes the qualification. All equipment is supplied. Our school gliders are the very best available, state-of-the-art modern wings which are easy to fly, super strong and stable. Paraglider pilots .... fly further and fly faster! 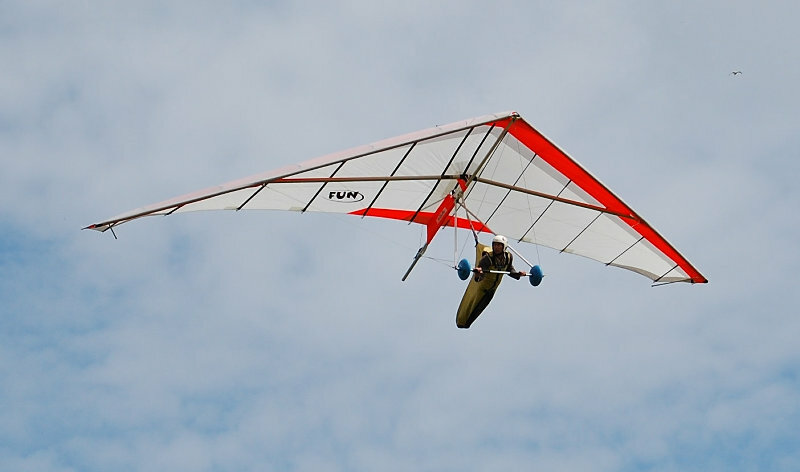 Take the first step to flying Rigid Wing Hang Gliders. Six days of training are offered to existing PG pilots to HG CP(Hill). The qualifying soaring flights can be completed on the hill with club coaches.Your paragliding experience makes this fast-track conversion very straightforward. Paragliding skills in thermalling and XC transfer fully to the hang glider so you can quickly reach cloudbase and enjoy the extra airspeed on your new machine. Spread your wings! If you learnt to fly hang gliders in the flatlands at a tow school you will soon want your hill endorsement. Two days training are initially offered for the HG (H) rating. Less experienced pilots will need extra days. Soaring flights can be completed with club coaches. Hill flying liberates a tow pilot from airpark restrictions and launching fees. With this endorsement you can fly a huge range of spectacular flying sites in the UK and around the world.